Yeah, not that one. The other one. The one being held in Fairfax, VA. The ad blizzard commenced about four months ago on Social Media. I figured, eh, why not. I’t amazingly close to where I live. I got my steps in. The closest available parking felt like it was just under a mile away. Maybe it just felt that way. 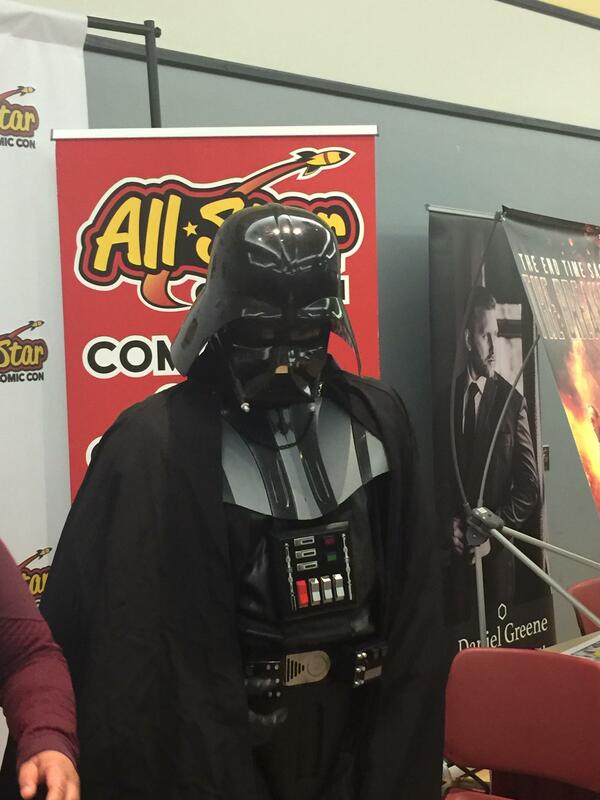 One thing’s for certain– the cliches that get thrown around about Comicon on shows like BIG BANG THEORY were true. There were a lot of people there, and many of them were dressed like cosplay geeks. 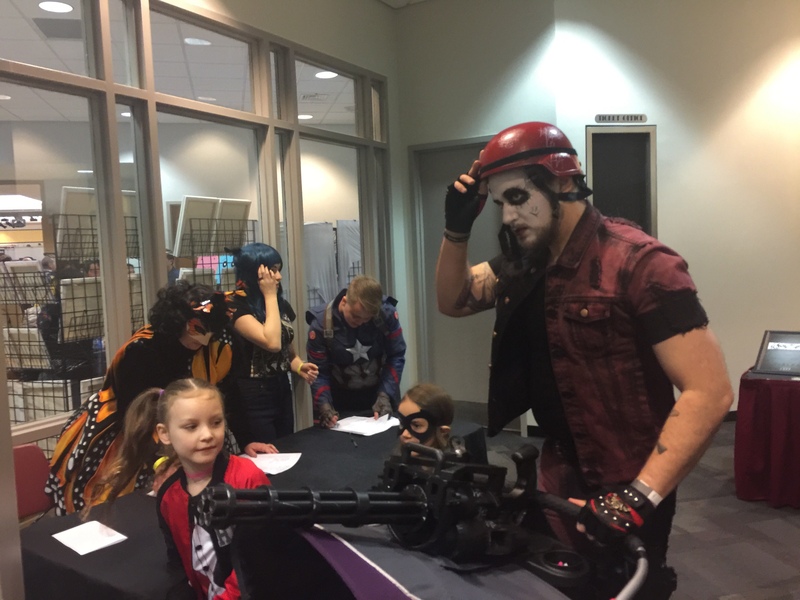 Daddy Hellspawn has to balance his Gatling Mini-Gun on the baby stroller. Safety FIRST! It wouldn’t be a Geekfest without him! I have to be honest. I was kind of nonplussed about the whole thing. It was incredibly crowded. The merchandise was a lot of comic related stuff that I really never get, like bobble heads and action figures and posters and shirts. There was a strong anime culture present and frankly, I know bupkus about anime stuff. 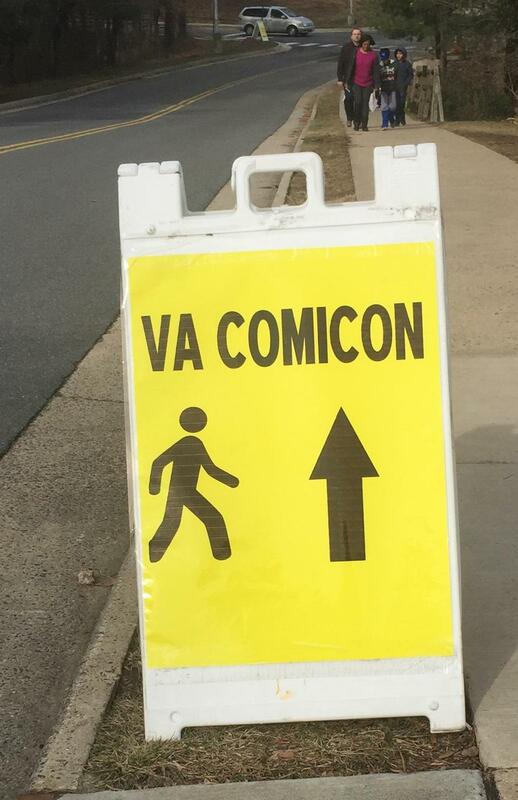 On the favorable side, it was very affordable for a day convention, and I didn’t begrudge them the small entrance fee. Not time wasted. I had always dreamed of going to San Diego ComicCon, now I kinda know I don’t want or need to go. I love science fiction and fantasy stuff, but I prefer it a tad more literary than this. Again, I’m not sneering here. These people are the salt of the earth, and they had a great time. More power to them and I’m glad I visited. If the embed doesn’t work, click on the image of the mom with skin tight superhero body leotard ushering her awkwardly mortified kids in the cafeteria. Um, yeah.. that’s my mom.. why? Disclaimer. 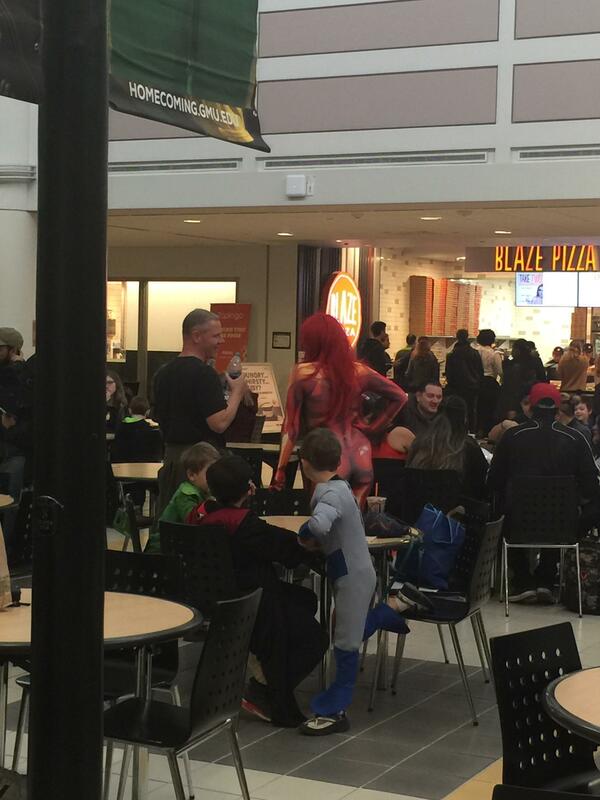 This post depicts people in costumes at a public event in a public space. I treated them as any other attendee and captured them walking around in the crowd, clearly with the assumption that they wanted to be seen in costume. From certain comments on IMGUR, I’m learning this is considered bad cosplay etiquette and I’m told to photograph a costumed person, I have to stop, ask each and every costumed person that is in my camera frame for their explicit permission to photograph them. I can see that this would make sense for posing for selfies or portraits, but not for random crowd shots where they might be walking through a crowd and at a distance. I chose not to ask permission, because I wasn’t looking for posed photographs– it would ruin the picture to make it anything less than candid. If that offends anyone’s sensibilities, I assure you, I do not attend events like these to mock, degrade or capitalize from pictures of people in costumes. 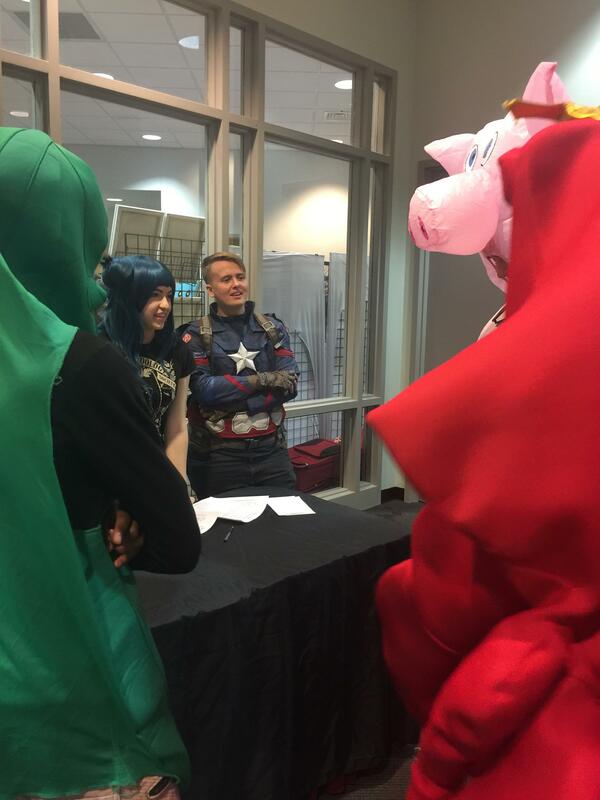 I have been going to conventions for decades and cosplay is just part of the landscape to me. That’s how I photographed it.